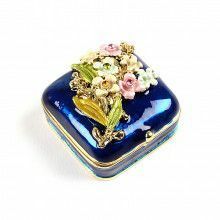 Enjoy flowers everyday with rose trinket boxes! 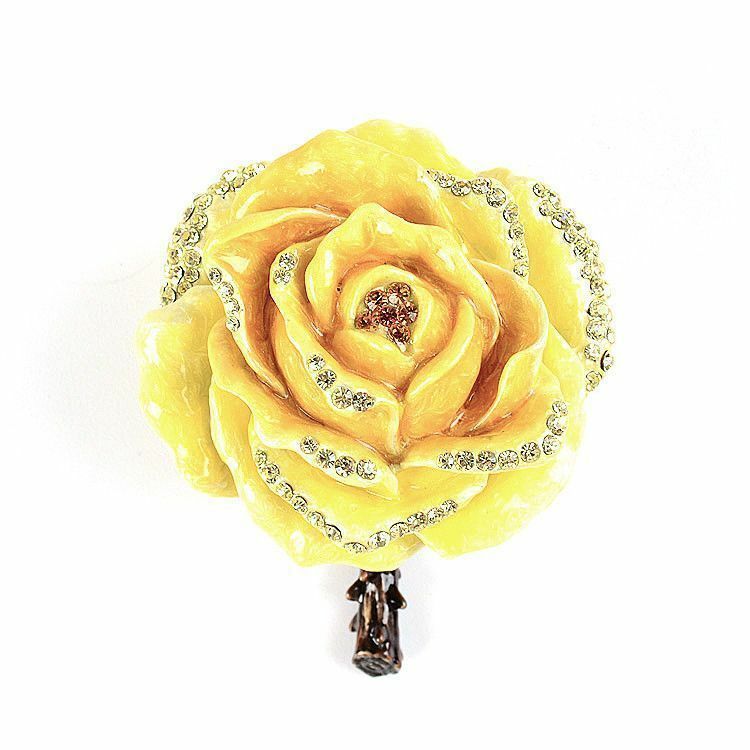 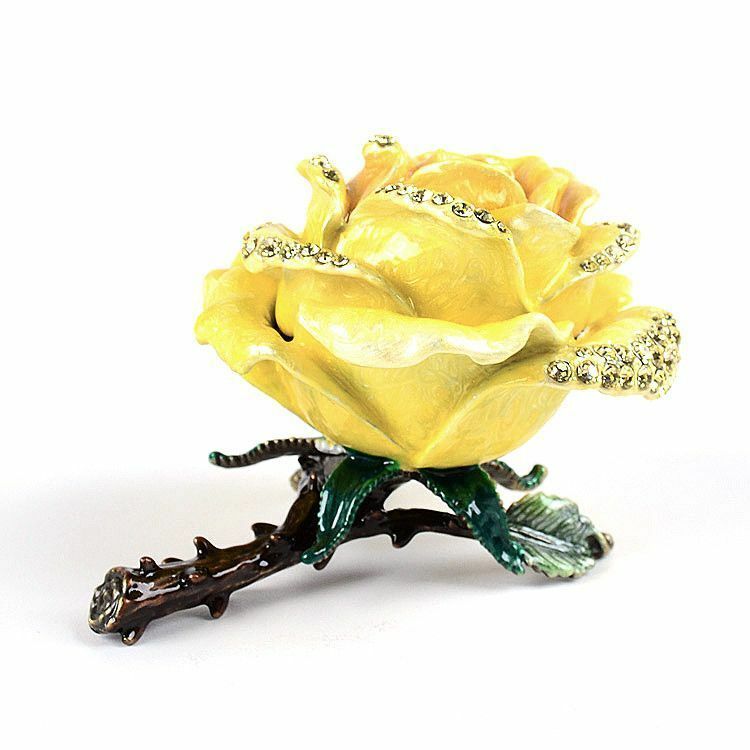 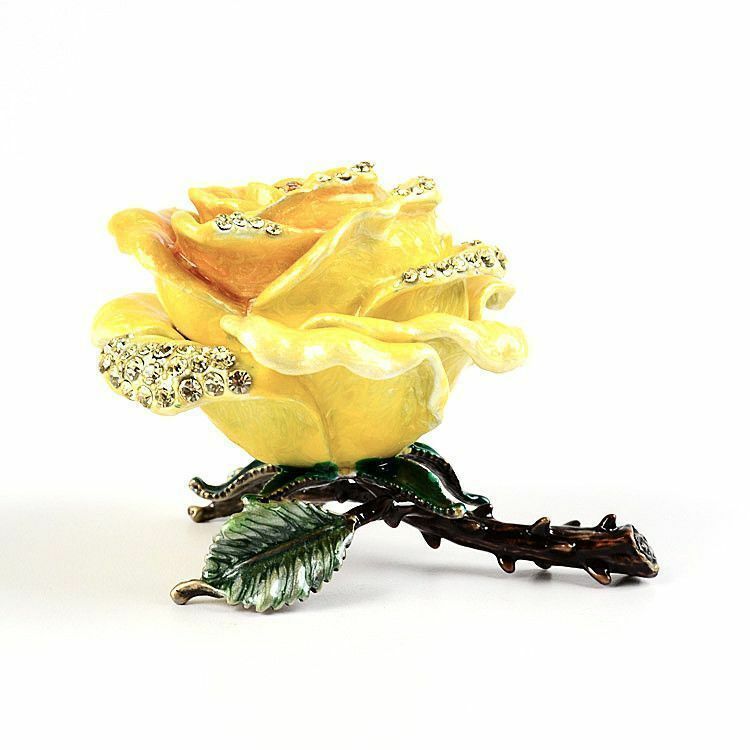 This particular flower keepsake is of a yellow-orange rose on a short and thorny stem. 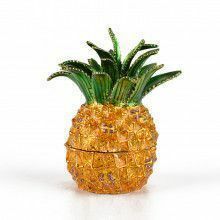 It is decorated with sparkling crystals; clear on the outer edges and orange in the middle. 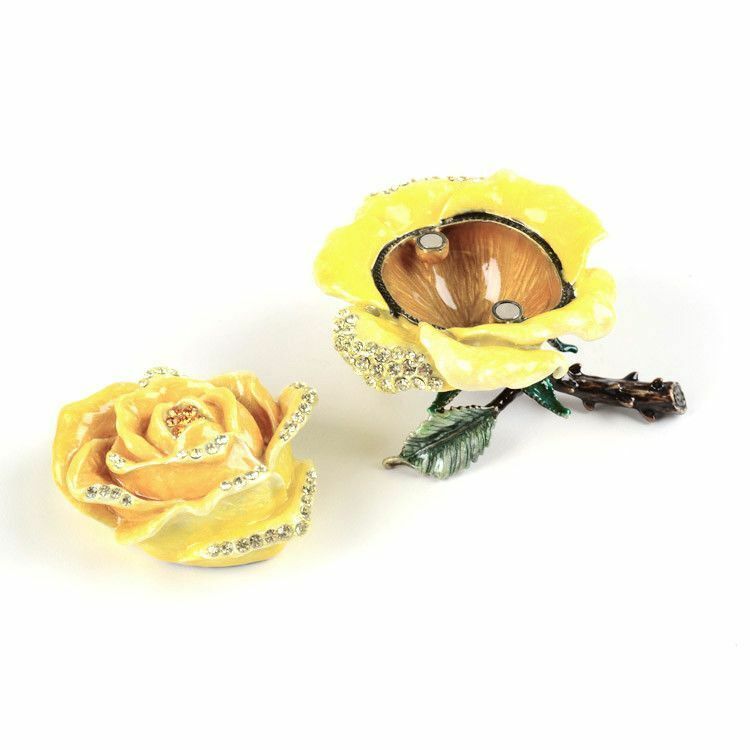 The top half of this rose comes completely off, allowing for an easy storage solution for your favorite chain, ring, or other small item. 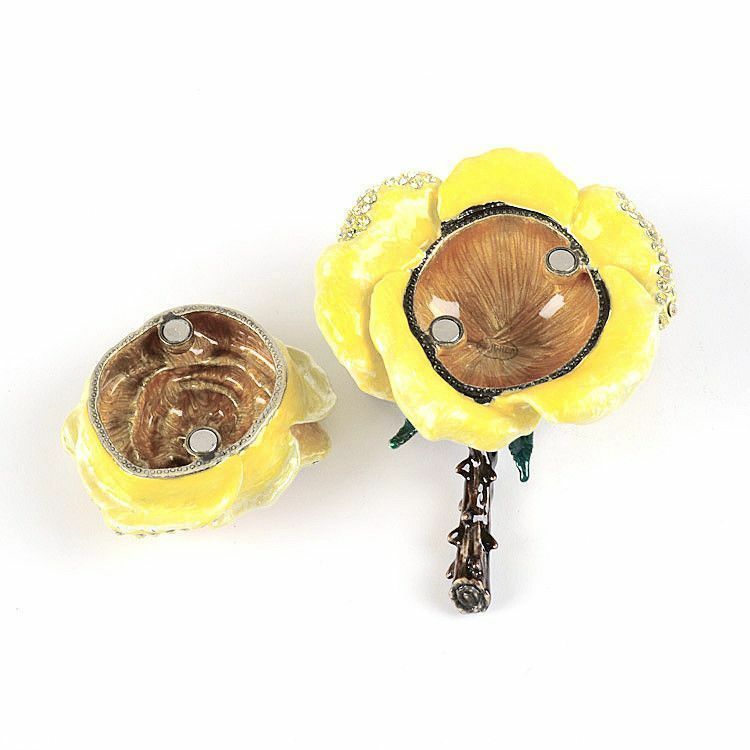 Contains two magnet clasps.